Very cute cards, Harriet! The 3x3 stipulation was a challenge! I posted mine on my blog and in the sketch comment area! So simple and so beautiful. 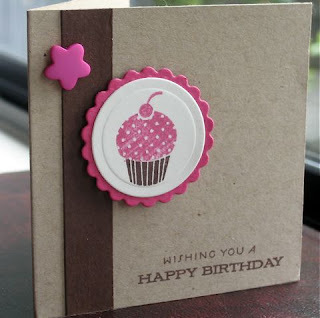 Great colours, I always love pink and brown and they look great against the kraft cardstock. I really like these two cards...wonderful composition. 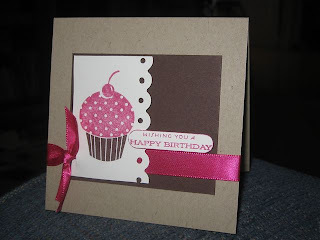 Great card & tag, love the colors of this challenge and the image & sentiment you chose for it. Great cards! I especially love the star on the first one. It's the perfect finishing touch.